Graduation month is approaching and like every other year, it is time for three good years of college to come to an end. For many people, graduating is a big thing. After all, with this phase of life arrive new responsibilities and as these batches of graduates’ land themselves in successful units of society, it is definitely polite to welcome them with a little gift. Gifts received on such occasions live on as emotions, fueling your person’s smile for many years in the future. Here are ten excellent graduation gifts for him ideas that could culminate into the perfect gift for the perfect person. 1. The Time Is Right! Watches can never be a misfit for any occasion. 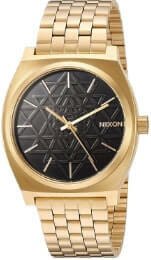 It can therefore, turn out to be one of the best graduation gifts for him. There are so many options to choose from when it comes to watches, but nothing is better than what the Swiss make. It does not cost too much to buy a watch – and what’s more, a lot of websites offer payments made in installments, which should be convenient for those who wish to settle the bill through a course of time. Gifts like watches, apart from being suitable for the occasion, turn out to be certainly useful and this is what most men prefer, so to say. A made to measure suit is one of the best things a man can ask for. Naturally, you could gift one of these to your man too! A perfect suit looks wonderful on men and this is easily one of the best choices you have out there. Look at the various suitable color choices and finalize on one that appeals to both of you. Probably not the best idea if you wish to give a surprise, but nothing less fascinating – most men would prefer a suit to a surprise! You could also give him a gift card for a professional tailor, allowing him to choose the suit for himself. By far, this is the closest you can get to gifting a suit while retaining the element of surprise. All men die over one other thing – the gift of accessing their favorite shows on the internet, without spending the extra buck. 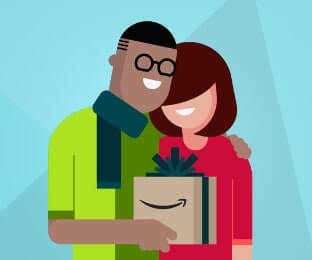 Evidently, it is one of the best graduation gift ideas for him to present a subscription of a top-notch TV and film series service, like that of Amazon Prime and Netflix. You can spend hours together with these in hand. Needless to say, it is a great way of showing love and a better way of displaying how well you know you man. This is a gift to which nobody ever says no. Of all of the college graduation gifts for him, you can try giving him a super good, all-inclusive shaving set! Most people avoid this option because they seem to think of a shaving kit as unsocial. Fortunately, all men don’t feel the same. A lot of shaving kits can be super classy, with all the expected possible accessories in them. 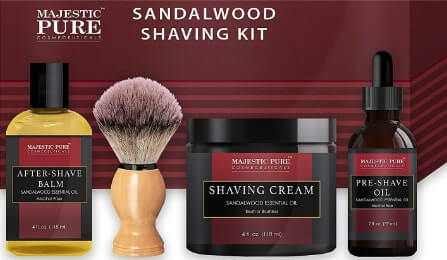 Many renowned shaving kits are popular in male circles, though it is unlikely you would discuss it with him. Secretly, all men love to sport a trimmed beard or one that has been shaped to perfection and this is only the best way to make that happen. Good shaving kits can last for years and can keep the memory of his big day in mind for a good amount of time. When it comes to gifts, have you thought about a money clip? We have, and we’re here to tell you why it matters. The money clip is a wonderful alternative to a wallet. 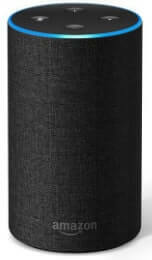 It is the type of thing a man would like to carry around to keep his bills safe, without having to worry about the bulge and discomfort of a wallet stashed with hundreds of things in his pocket. 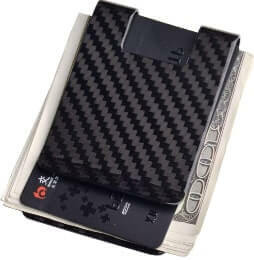 Money clips, unlike wallets, can be engraved and personalized for a low budget. The money clip itself comes at varying prices – from basic ones to those studded with crystals, it is all available for sale. If you’re in budget, go for a holiday. Otherwise, go for a budget holiday! Traveling is not just a gift, but an entire experience in its own. When one travels, one gets to see new lands and new places for exploration – it all facilitates the mind to think better and feel more refreshed for the days to come. There are plenty of destinations to choose from and it takes no little more than a decent budget that won’t have you selling off things to travel to an exotic place and enjoy yourself. After all, couple trips are one of the best gifts that you can present in love. A new smartphone is a viable option if he has not gotten himself one recently and if nobody else is giving him one. If you can’t afford the luxury of a holiday, a smartphone should be able to rescue you for cheap. These are really important gifts because smartphones are often overused and getting them replaced can be a total relief. If you however, lack the funds for a good smartphone, worry not, for you could do with a set of really cool smartphone accessories. Try a personalized back cover, or a high definition camera lens that can be attached to the smartphone for clicking brilliant pictures. If you live far apart from each other, a personalized calendar can do wonders. 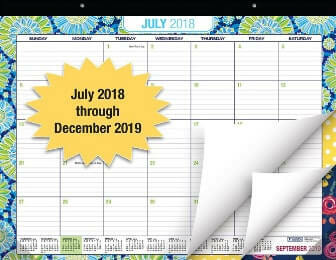 Personalized calendars are very cheap to make and they are really wonderful to store memories. He would hang it up right there in his room and the good times you had would be wonderfully recorded as the months go by. You could say this would greatly reduce the void that you both currently feel. Better still, get two calendars – one for each of you and hang it up in your respective rooms. After all, memories remove distances and connect people, irrespective of where they are. A multi tool is an instrument that can be used for multiple purposes. Men prefer having necessary tools with them in the pocket and this is a great way to make their everyday lives more convenient than you can imagine. 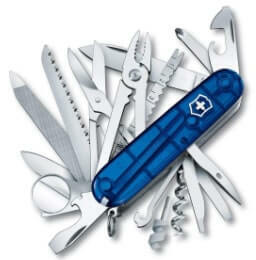 For example, a Swiss army knife arrives with all sorts of little tools in it which could be used for multiple purposes. These not only help in all occasions, they also last for a pretty long time, as these sets are made out of stainless steel. Look for your options and choose wisely for the special day. In addition to what we have already told you, you could try and get innovative with a gym subscription, or a cookbook for elementary self-sustaining lessons. Why not try out a subscription to a newspaper or magazine he likes? Or better still, gifting a book is a wonderful way of showing some love. No matter what you end up gifting, at the end of the day, it is the care attached to it which actually matters. Go ahead and make his day big – the love you show will remain in memory. Forever.